So Easy and So delicious. Kids and adults of all ages like krispie treats. Heck, everybody loves krispie treats. My daughter loves the traditional krispie treats made with Rice Krispies cereal. I prefer the marshmallow treats made with different kinds of cereal, like this recipe that we’ll be sharing with you today. 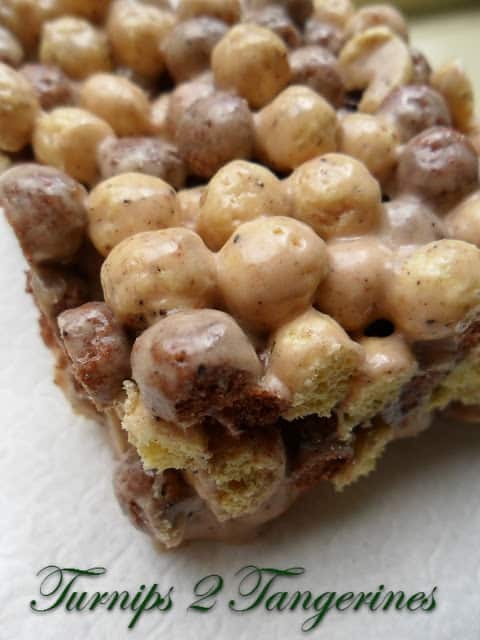 Change things up a little by changing the cereal and marshmallows used to make marshmallow treats. Here on Turnips 2 Tangerines we have made marshmallow treats in many different “flavors.” Just check out our Recipe Box. Here are a few of our favorites Captain Crunch Touchdown Marshmallow Treats, Watermelon Rice Krispie Treats and Peanut Butter Crispy Treats. 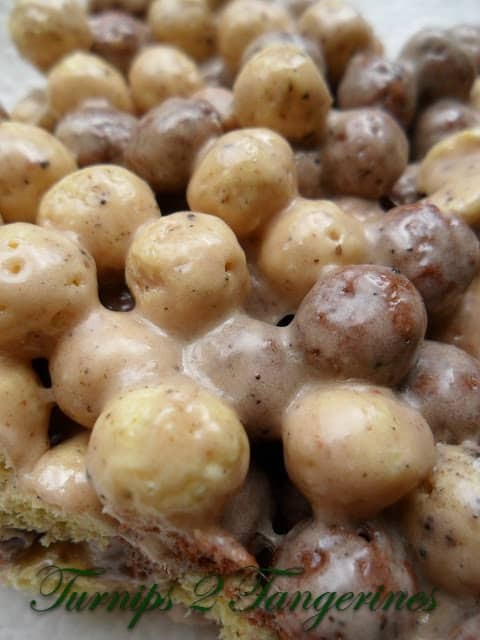 Cookies n’ Cream Cereal Treats are yet another super delicious marshmallow treat recipe. 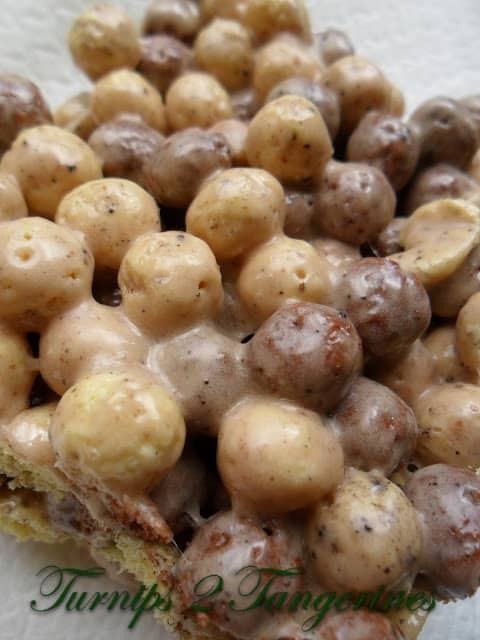 This recipe is made with Hershey’s cookies n’ cream cereal and candy bar. What a delicious way to eat your cereal! In a large saucepan, melt butter over low heat; add marshmallows and stir until melted. Add candy bar; stir until completely melted. Add cereal. Stir until cereal is evenly coated. Using a buttered spatula, press mixture into a buttered 13 x 9 baking dish. Brie in Puff Pastry is a great appetizer to make for holidays and special occasions. This looks like a perfect treat! Thanks so much for sharing on the HomeAcre Hop! Hope you come back again tomorrow! Oh these looks so yummy! Thank you for linking at Show Me Your Plaid Monday's!!! Thank you!! I'm so happy your back!! See you @ Show Me Your Plaid Monday! How fun is this?! The Boy is sitting next to me making exaggerated faces and licking his lips. Smacking them, actually. He loves cookies n creme anything. Thank you for coming by and linking this week, Lynn.